Ah, Nicaragua! The country is known as the land of volcanoes, lakes, and rainforests. Nicaragua is a natural beauty and doesn’t need to be boasted at all. The beautiful landscapes and stunning wildlife prove just why so many people have fallen in love with the country. Nicaragua is bathed by the Caribbean sea on the east and by the Pacific Ocean on the west, and sandwiched between two beautiful rivals in the form of Honduras in the north, and Costa Rica in the south. It borders other Central American countries but keeps its charm that dates back to before the arrival of the European colonizers. It’s home to Lake Nicaragua and to Lake Managua, both equally as spectacular. Nicaragua is also home to the largest rainforest in all of Central America. Not only is it absolutely awe-inspiring, but it is also home to thousands of exotic species. All this grants Nicaragua the title of one of the most stunning countries in the world, and rightfully so! But lakes, volcanoes, and forests aren’t the only things that put Nicaragua on the map. The country is also known for having paradisiac beaches. In fact, Nicaraguan beaches have a reputation for being some of the most beautiful in all of Central America. Aside from the most famous beaches of Nicaragua, there are quite a few hidden gems worth checking out. 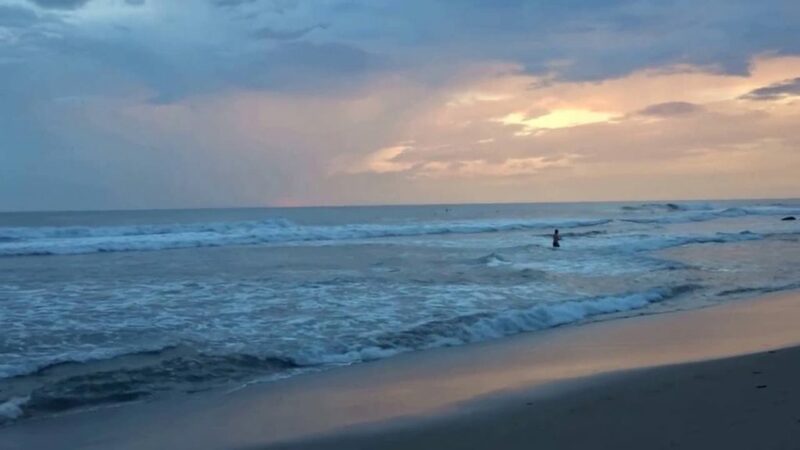 Whether you’re looking for beaches to surf in Nicaragua, for the best swimming beaches to explore, or for calm and relaxed spots, there’s certainly something there for you. 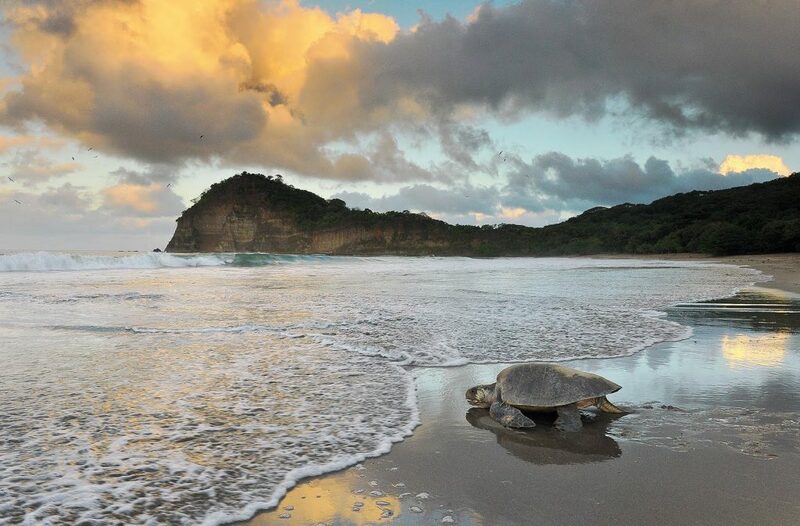 Take a look, you can see why the beaches are the top Nicaragua tourist attractions! Given how beautiful the top beaches in Nicaragua are, it’s no wonder that the country has a booming tourism sector. Because there are so many beaches to visit in Nicaragua, sometimes visitors are left thinking “But which ones should I visit?” We’re firm believers that the perfect beach for you is the one that best suits your lifestyle. In this article, we’ll go over the top 10 best Nicaragua beaches. And the best part is that there are hundreds of beaches in the country and not two are the same. We are sure that you’ll find the ones that suits you the most, whether you want to go to quiet Nicaragua beach resorts or you’re looking to party with your feet on the sand. 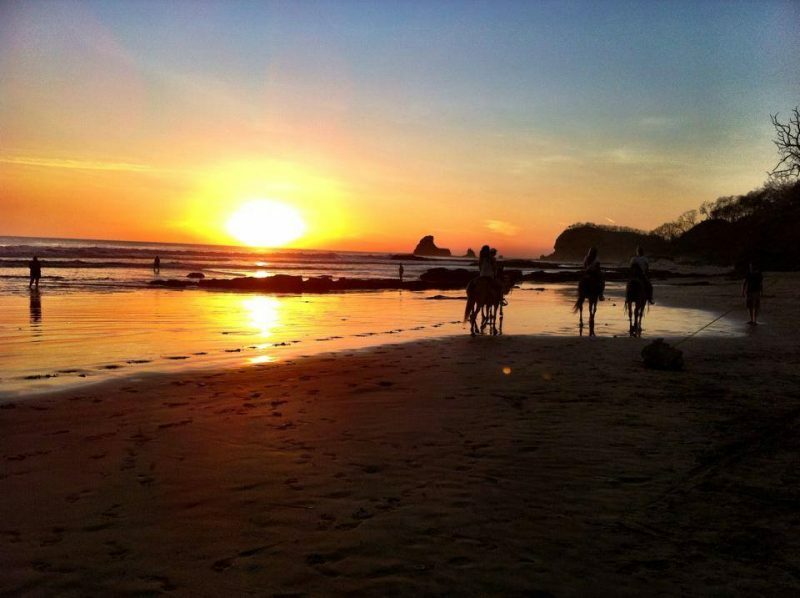 The most famous beach in all of Nicaragua is the one we’ll recommend first. It’s located right at the doorstep of the buzzing city with the same name — you won’t be able to miss it. It has gained the nickname “hillside retreat” because the nearby mountains seem to hug the beach that stretches out for miles. The water is clear and blue and the sand is the Caribbean characteristic white. 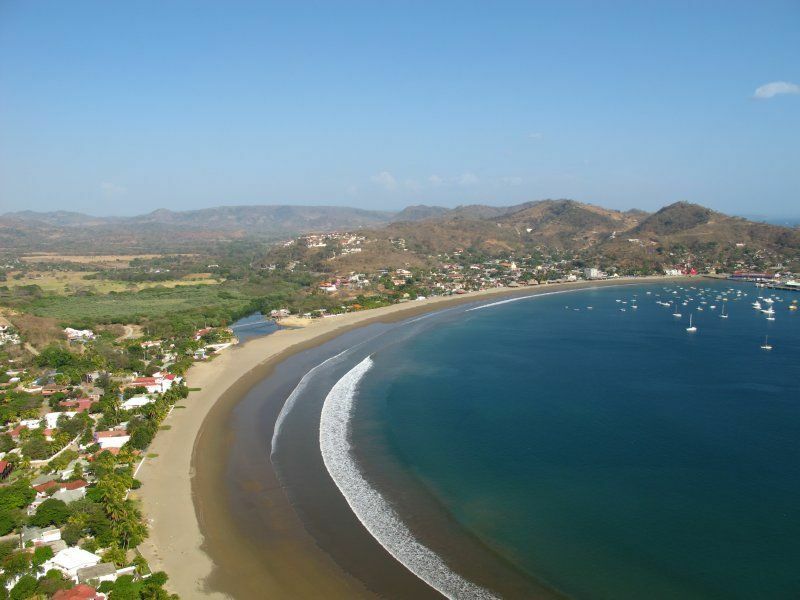 San Juan del Sur sits on the southern part of Nicaragua and is bathed by the Pacific Ocean. But what makes it stand out the most is the vibrant nightlife that goes on around it. 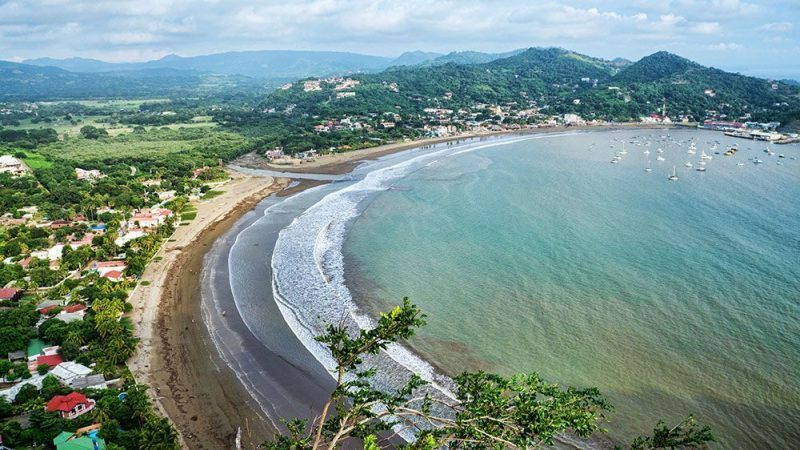 San Juan del Sur is lined with amazing local restaurants you won’t want to miss out on. The dozens of restaurants serve fresh seafood caught locally every single day. It’s impossible to go wrong with any of the dishes. You can relax on the beach until it’s lunch or dinner time, and then follow the scent trail of magnificently cooked and seasoned seafood. 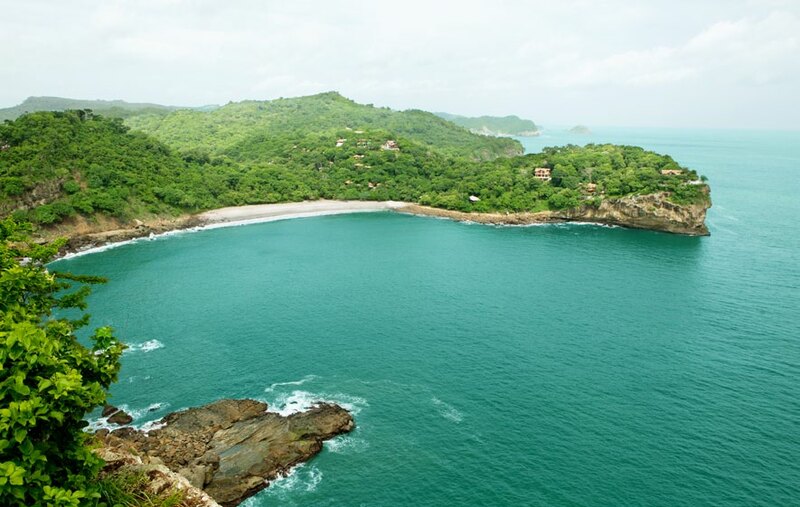 If you head out twenty minutes north of San Juan del Sur, you’ll find one of the best secluded beaches: Playa Maderas. When you see it for the first time, you’ll surely think this is a small lost paradise. Playa Maderas is much different from San Juan del Sur because it doesn’t have the party vibe. Instead, it’s the perfect place to go if you want to ditch the crowds and be alone. One of the key characteristics of this beach is the shark-fin-shaped rock formations that surround it. You’ll also notice how thick and luscious the jungle is. Both the rocks and the jungle protect the white sandy beach from the rest of the world. There’s a reason why Playa Maderas is known as a protected cove. But Playa Maderas isn’t totally isolated. If you get hungry while enjoying the beauty of the beach, you can head to one of the bars near the beach. There you can quench your thirst with local bear and stave off hunger with ceviche or fish tacos. The last key point that draws tourists here is how surf-friendly this beach is. The sandy bottom means that beginners are welcome to show off their newfound skills safely. But all other surfers are welcome too. The consistent swell provides great moments in the water. 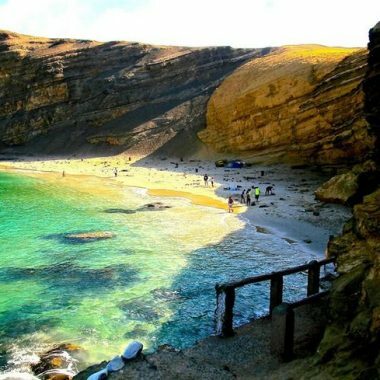 The Las Peñitas beach stretches out for five kilometers and is mainly popular among locals. But this is changing. Backpackers and surfers are catching on onto how young and alive Las Peñitas is. While it’s becoming less of a locally-kept secret, it still holds on to the best part of its charm. Here, you’ll find miles of sand washed by the Pacific Ocean’s waves. The beach is lined by restaurants, bars, and cafes where visitors and locals hang out together. The atmosphere is very much young, chilled out, and Nicaraguan. You’ll find plenty of nightlife here, but not like you’d find in a city like San Juan del Sur. Go to one of the charming beachfront bars and discover the unique personality of Las Peñitas for yourself. If you’re a surfer, you’ve stumbled upon one of the country’s top surf beaches. The waves are not always constant, which poses an interesting challenge to lovers of the sport. People of all levels are welcomed here. Even if you want to give it a shot for the first time you can, as there are local surf schools nearby. Playa La Redonda is a perfect example of what resorts in Nicaragua with beaches look like. Since it’s private and property of the Aqua Wellness Resort, it can only be accessed by people staying there or eating at the restaurant. It comes as no surprise to anyone that it’s not well-known and isn’t featured on travel guides, but it’s more than worth the visit. This is one of the most beautiful white sand bays in the country. It’s located on the southern coast of the country and bathed by the crystal clear Pacific waters. But what makes it even more beautiful is the thick jungle that lines the beach. 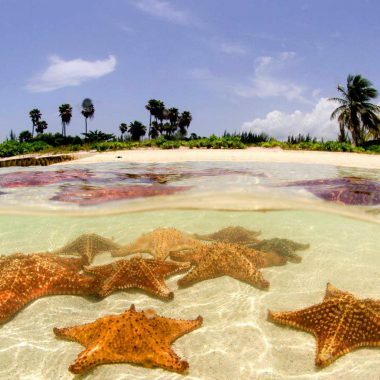 When you visit Playa La Redonda, you’ll feel like you’re in paradise. The Pearl Cays are made up of a total of 12 cays on the eastern part of the country, just off the Caribbean coast. Coincidentally, they have some of the most beautiful beaches in the country. It’s the definition of a beachy paradise if we’ve ever heard one. The sand of these beaches is whiter than white and incredibly fine. The water is crystalline and turquoise colored, very inviting for a swim. And to top it all off, the beaches are lined by tropical-looking palm trees that offer shelter from the sun. It’s truly something out of a postcard. If you’re looking for a secluded, romantic beach, you’ve found the one for you. Pearl Cays is the perfect destination for a romantic getaway. It’s no secret that Nicaragua has a lot to offer when it comes to wildlife. If you’re fascinated by animals, make sure to visit Playa La Flor on the Pacific coast, which is adjacent to an 800-hectare wildlife reserve. The whole sandy beach is lined by luscious green forests and is bathed by the clear waters of the Pacific Ocean. But what truly puts Playa La Flor on the map is the fact that it’s the best out of all the turtle beaches in Nicaragua. Every year, between the months of July and December, endangered species of sea turtles come to lay eggs here. If you’re lucky, you’ll be able to spot huge groups of turtles as they’re arriving. Each year there are around 100.000 nests laid! Playa La Flor is also home to hundreds of other species, most of them being birds. You can lay on the sand or go for a swim in the warm waters and spot pelicans, parakeets, long-tailed crows, and many more birds flying over your head. In our opinion, it’s definitely one of the best Nicaragua beaches. 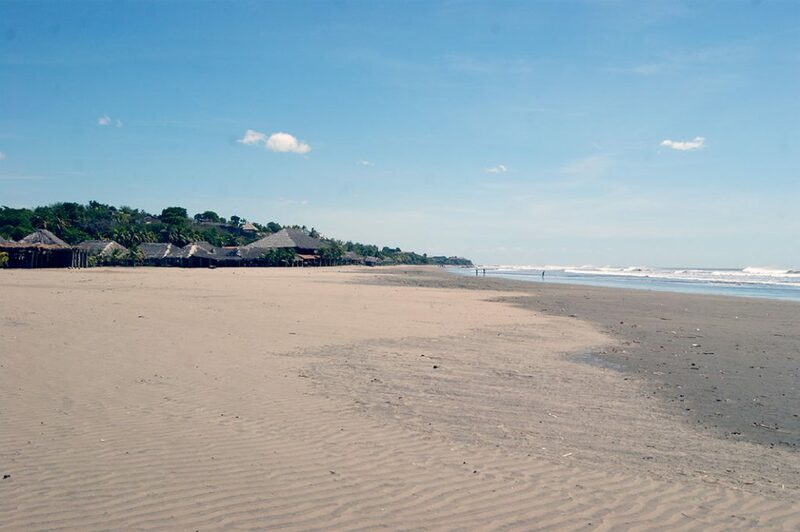 Jiquilillo has some of the best beaches on the Nicaragua Pacific coast. In reality, Jiquilillo is a sleepy and peaceful fishing village that mainly attracts backpackers looking for a break from tiring hikes and bustling party scenes. It’s also a complete change of scenery from beaches such as San Juan del Sur. This is a coffee-colored sandy beach on the northern tip of the country. Unlike more touristy beaches, Jiquilillo has a rustic vibe and feel to it. It’s the place where you can imagine yourself relaxing on a hammock contemplating life undisturbed. Jiquilillo is located in the Chinandega province, also known as the hottest in the country. So it’s a true blessing that the sea is right there to get you freshened up again. It might not be crystalline and turquoise, but it’s nonetheless beautiful and a blessing to the region, which lives almost exclusively off of its fishing industry. It would be impossible to write about the most beautiful Nicaragua beaches without bringing up Little Corn Island, and the Corn Islands in general. While getting to this island that is 50 miles off the coast of Nicaragua isn’t easy, it’s well worth the effort. The only two ways of arriving here are either flying in from Managua airport or catching several modes of slower public transportation. But as soon as you get to the Corn Islands, you’ll realize that it was all worth it. The Caribbean water is crystal clear, the sand is fine and golden-colored, and the palm trees give it that much sought-after postcard look. Little Corn Island and its beaches are so serene that you’ll easily forget everything you left back home to be dealt with when you return. Nothing motorized is allowed on any of the Corn Islands. It must be one of the last places on earth where you won’t hear traffic or engines revving up. Not only that, but even trying to bring a golf cart if it were allowed would be nearly impossible. The island is covered in thick jungle with not too many carved out paths. 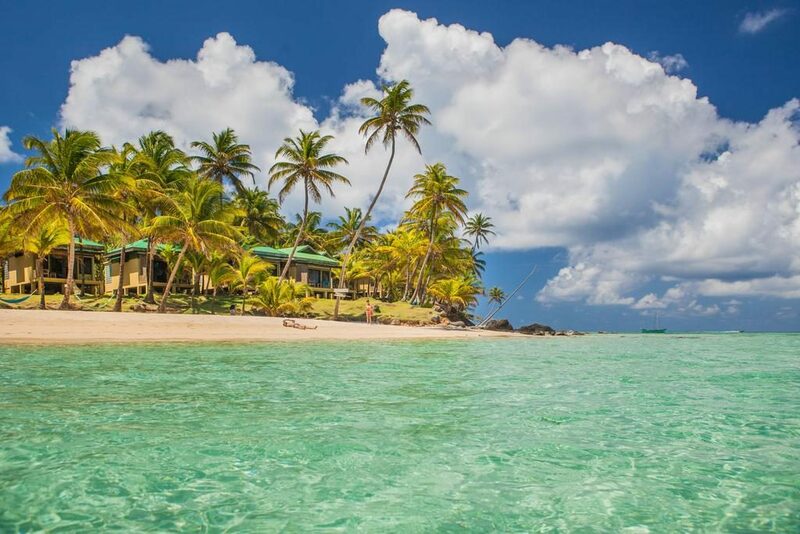 The beaches in Little Corn Island are some of the best places to visit in Nicaragua in general. You can lounge and nap on the many hammocks that are hung on beachside palm trees while hearing the ocean and taking in the sun. Or, if you’re looking for more action, you can explore the jungle, walk along the coast, go swim in the crystal clear ocean, kayak, snorkel,go scuba diving, or even fish with locals! 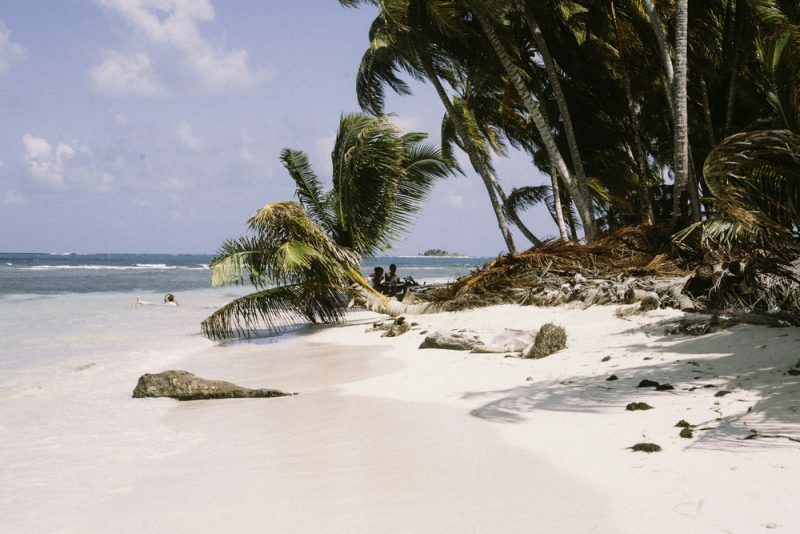 Little Corn Island is the perfect place to go if you’re looking for paradise on earth. The untouched beauty of the jungle and unspoiled beaches put this island on the map. The Corn Islands are a well-kept Caribbean secret, but that may change in the future as it’s one of the best Nicaragua resorts. If you’re traveling with little children or just like the comfort of not having to worry about transportation to a secluded place with few infrastructures, Playa Pochomil is for you. It has a highly developed tourist complex with numerous resorts and sports clubs. The Pochomil beach is beautiful in of itself. Alone, it’s already worth the visit with your family. But here you won’t be limited to going for swims in the crystal turquoise waters, lounging on the sand, and getting tanned. Playa Pochomil offers much more than that. You can play team sports at the beach or on one of the courts built by the resorts, go horseback riding, and much more! Getting to Playa Pochomil is also pretty easy. Since it’s only one hour away from Managua, taking a bus will leave you at the door of your resort. It’s so convenient that vacationing in Nicaragua with beaches has never been easier! 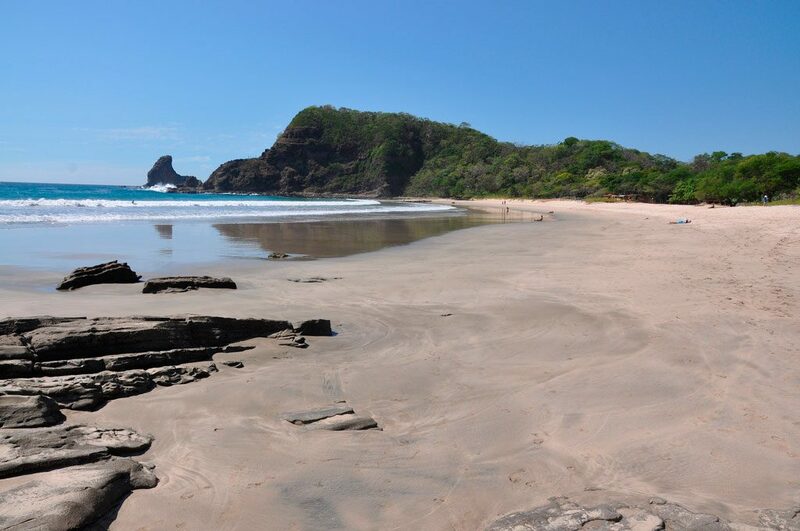 The ultimate remote and isolated beach in Nicaragua is Playa Casares. Because it’s so different from the other beaches and definitely not as touristy, we’ve decided to include it as our last recommendation. Casares is a village where mostly fishermen and their families live. They have the Pacific ocean and the fish that live there to thank for every meal they put on the table. This is a rocky beach. 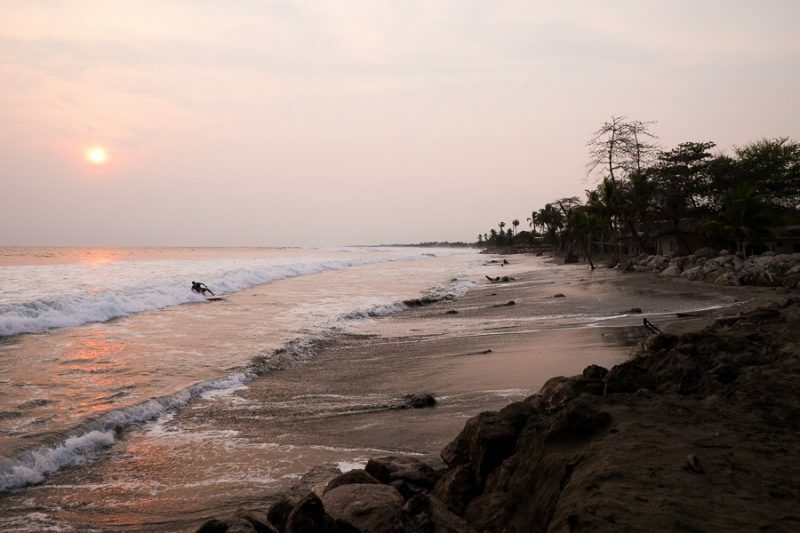 You won’t find the fine, white sand you see on other Nicaraguan beaches. But this isn’t to say Playa Casares isn’t beautiful. It most definitely has its own charm. Because of the way the rocks are laid out, when the tide lowers you can see a perfect reflection of the sky on the naturally-formed puddles between the rocks. You can also see small animals such as crabs and small fish swimming in the shallow pools. Some surfers also come to Playa Casares to catch some waves. Usually, you’ll see more experienced locals enjoying themselves in the water, since the rocky bottom isn’t very safe for beginners. Because Casares hasn’t been touched by mass tourism, at least as of now, most of the properties belong to locals. In fact, reaching the beach is done by crossing private property. If you want to stay the night, you should try to see if there are any locals willing to house you. It’d sure be a unique experience and you’d get plenty of contact with the local culture! What are the beaches like in Nicaragua? Nicaragua is a very diverse country — in terms of who lives there, the climate, and the beaches. Depending on where you go, you’ll see different landscapes and different beaches. But needless to say that they’re all beautiful and still hidden gems from the world. The beaches in the Caribbean sea (meaning the ones on the east coast of the country) are less touristy than others in the country. Finding tourist resorts is hard and so you can expect much fewer tourists. This means that the beaches won’t be as packed. The water isn’t as clear as it is on the opposite coast because the sea drags a lot more sand. The Pacific beaches are much more developed and ready for masses of tourists. You’ll find plenty of private hotels, resorts, and apartments for short-term rent here. There really is something for all budgets. The Pacific beaches have higher waves, perfect for surfing or swimming if you don’t mind the current, and white sand. The water is what you think of when you think of paradisiac beaches: turquoise and clear. It’s true that Nicaragua is often overlooked as a beach holiday destination, but many of Nicaragua’s beaches rival or best those found in the more tourist-friendly Costa Rica to the south. How many beaches are there in Nicaragua? Nicaragua’s coastline stretches out for a whopping 910 kilometers, or 566 miles. Nicaragua has two oceans bathing its beaches: the Caribbean sea in the east, and the Pacific in the west. It’s very hard to say exactly how many beaches there are, so just know that there are a lot. Between private beaches, famous touristy beaches, rocky beaches, and secluded beaches, there’s something for every taste. What kinds of accommodation are there available? Depending on your budget and on where you want to vacation, you’ll find different accommodation options. Keep in mind that the Pacific coast has more tourist-dedicated infrastructures than the Caribbean coast, so you’ll find more diversity there. Regardless, you’ll find a plethora of resorts, private hotels, short-term apartment rentals, youth hostels, and places where you can couchsurf. You may even want to look into work-and-stay arrangements if you want to travel to more remote parts of the country. It all depends on your budget and your destination’s level of infrastructures. Nicaragua has been somewhat troubled politically in the last decades. Although now it’s a representative democratic republic, it’s still not completely peaceful. In 2018, there have been a lot of protests that lead to deaths over political instability. The reforms made to social security law were the catalyst, which made a lot of travelers scared to visit Nicaragua. The United States government has issued a level 3 alert to those traveling to the country. It means “reconsider travel,” as crime rates have been rising recently. However, many expats and seasoned travelers have written and said that this shouldn’t worry fellow travelers too much. They say that places known for tourism (such as Little Corn Island) are far from the violence going on in the streets. According to them, the dangerous places to be are the protests and run-down neighborhoods near large cities. Always keep in mind that you’ll need to be street smart. Don’t put yourself in any dangerous situations, which is the advice all tourists (regardless of where they’re going) are given. All in all, if you want to visit Nicaragua, do so with these updates in mind. It’s not the safest country to be in right now, but it’s far from being the most dangerous in Central or South America. When is the best time to visit the beaches in Nicaragua? If you’re going to visit Nicaragua to enjoy your time on the beach, the two months to avoid are September and October. They make up the region’s wet season — not a good time to check out the best resorts in Nicaragua and properly enjoy them. The months between November and May are the dry season. Ideally, this is the best time to go, as the weather patterns are pretty reliable and it rarely rains. Although there may be some heavy rain periods and showers between May and September, it’s still relatively safe to say that the weather will be great until the end of August. Other than the wettest months, there really isn’t a bad time to visit Nicaragua. Nicaragua is a mind-blowingly beautiful country. The friendly locals, the mouth-watering local cuisine, the jaw-dropping landscapes and the paradisiac beaches crown the country as one of the most beautiful in Central America. Whether you’re looking for some relaxing days on the beach or for an action-packed and active vacation, Nicaragua will not let you down. Do some research to find the right match for you and your lifestyle.